Railfan the Pacific and Eastern in HD. Railfan the Ohadi in HD. 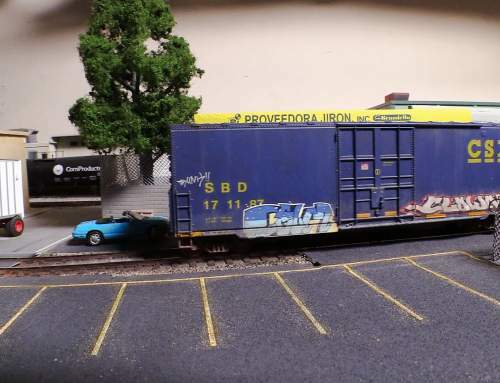 Interview with Dave from the Rogue Model Railroad Club. For those who would like to see even more of these two layouts. The October Movie is 2 hours long and features both of these layouts. Get the full Trackside layout tour and railfan experience with our DVD video set. The Rogue Valley Model Railroaders’ 1980s layout featuring the former Pacific & Eastern of Southern Oregon. 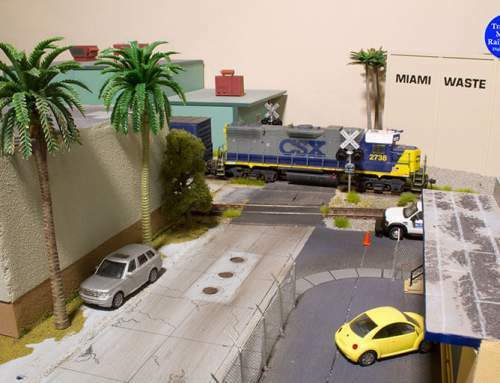 The club models what the railroad might have been if its story had continued into the 1980s. 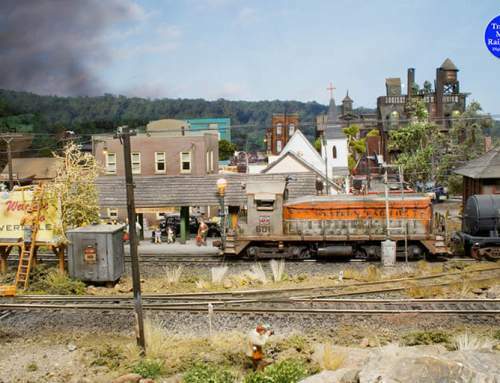 The large layout is in HO scale and can be visited at the Medford Railroad Park in southern Oregon. We share photographs and video along with the story of the layout and an interview about the layout. We also share a video of a ride on a 7.5" gauge live steamer at the railroad park and an interview about its operations. 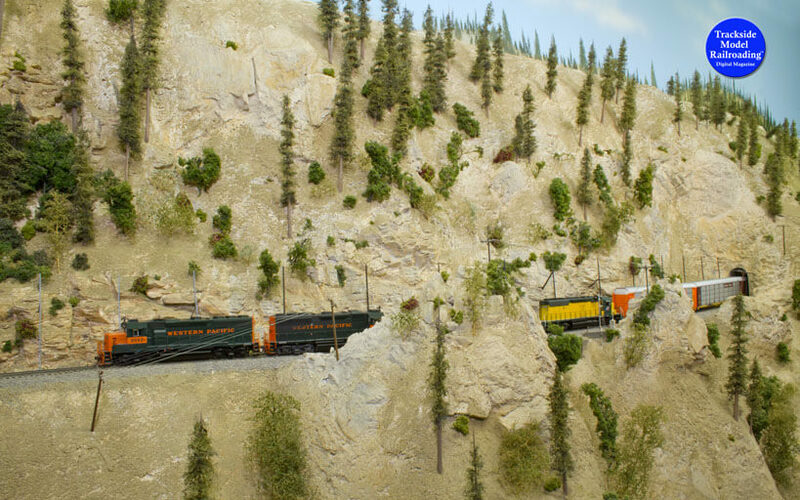 Visit the whimsical, freelanced town of Ohadi and its two railroads: the Idaho, British Columbia and Northern Railway and the Ohadi Street Railway. 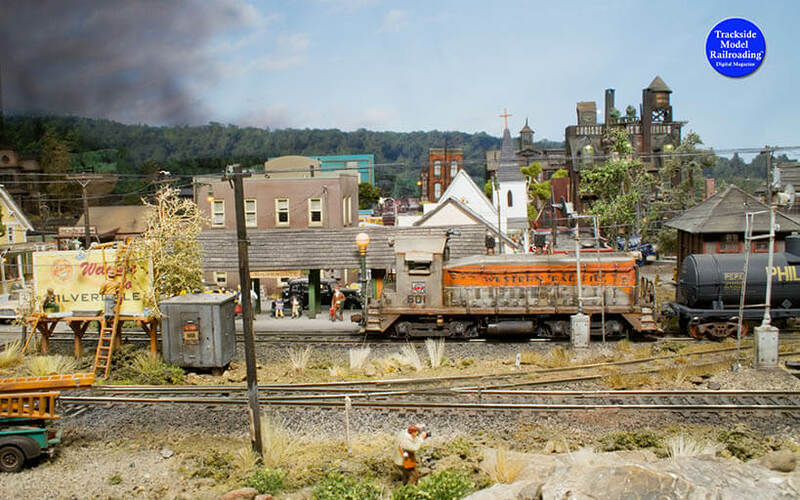 On this 1950s layout, the residents of Ohadi have come up with a clever way to prosper and created a whole new industry to support the local businesses and the railroad. The layout is built by Richard Hutter in On30. All US orders include free shipping. International orders will be subject to shipping costs. Our DVDs are region free and are in NTSC 30p format.